Awaken capitalises on the most technically advanced LED lighting technologies that work seamlessly and systematically with Awaken’s latest LED driver and power management system. requirements while offering superior illumination, idea for all pedestrian pathway lighting applications. 1. How many consecutive rainy or cloudy days will the fixture need to powered from stored power? 2. What wattage of LED lamp is required? 3. What lumen output is required? 4. What city will it be installed in (so we can determine its exposure to sunlight)? 5. How many hours of light are required every night? 6. How wide is the road? 7. What is the distance between the poles? 8. If there are poles on either side of the road, how are they spaced in relation to each other? 9. How tall are the poles? 10. Will the lights be dimmed – how long and to what percentage? The selected documents will be e-mailed to you within 48 hours. Built specifically to easily adapt to a range of applications. 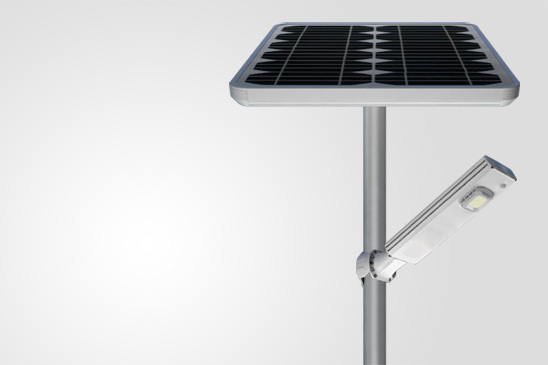 The Lumi4 series is the world’s most advanced and intelligent LED solar lighting system. Its clever design and attractive, robust construction incorporates the latest solar power technology, providing many years of outstanding performance and operational reliability. An important benefit of the Lumi4 series is its ability to ensure consistent light output even when the batteries are approaching their minimum level. Awaken’s power management system continuously monitors and automatically regulates the light output taking into account changed battery conditions. For instance, if battery levels decrease to 30% of capacity, the light output can be programmed to dim to a lesser wattage or to only operate when the ‘Smart eye’ detects nearby motion. The Lumi4 has been designed to withstand the harshest and most extreme environments - from blistering heat to rain, hail, and sub-zero temperatures. Awaken’s rugged construction is up to the challenge. Its internal components off IP65 weather protection and its external metallic components are built with marine-grade aluminium and stainless steel fixings and supports. The Lumi4 series is also restant to shock and vibration. The external security bolt fixings that attach the system’s components to the column are not only extemely durable, but tamper and theft proof (a unique tool is needed to remove the fixings).